Rigor Mortis focuses on all things horror, but especially zombies..
Each issue offers stunning original art, analysis of the genre, reviews of zombie movies, books, graphic novels, websites and more. 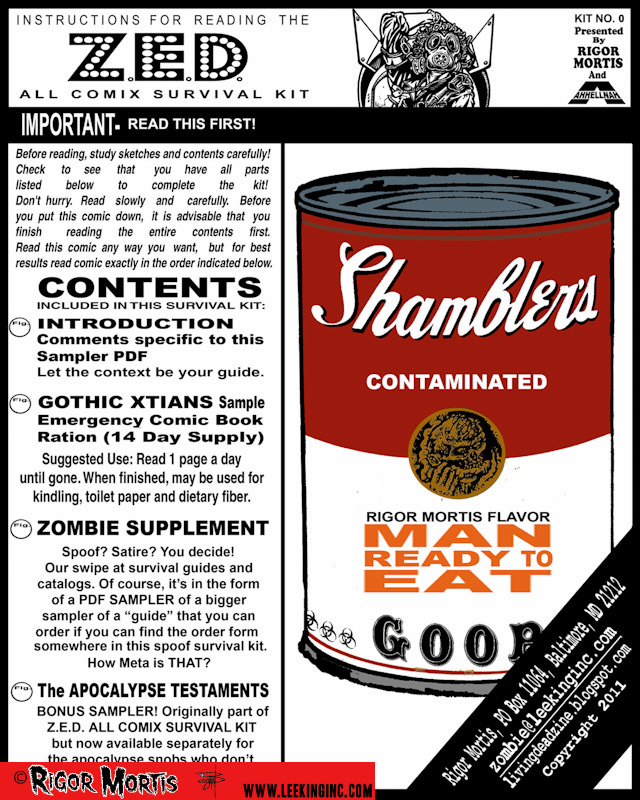 If you are a fan of the living dead you need this zine. Also check out the Rigor Mortis blog and become a fan on Facebook. We also have a new art gallery - check it out! Check out the sampler. 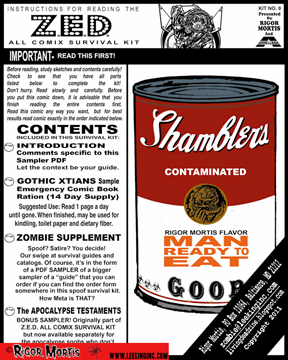 40 pages of apocalyptic fun (and fashion).